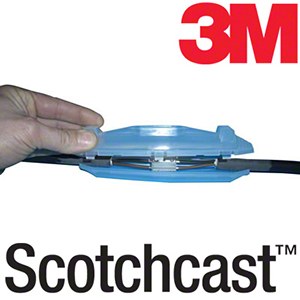 3M™ Scotchcast economy resin joint is our no nonsense resin joint replacing our BK joints. 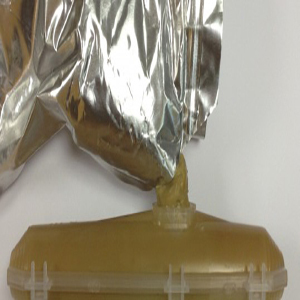 Comprising of a two part shell and our standard close mix two part resin bag. Scotch® 23 Self Amalgamating tape is used to seal the crotch of the cable. The cable cores are then cut to length. If necessary the joint shell is large enough to accommodate the crossing of phase cores. SKU: 91-NB-A6. Category: 3M Cable Jointing. 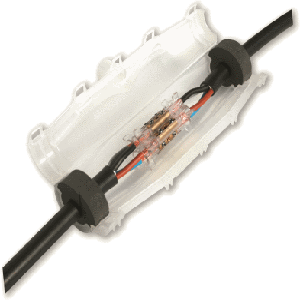 Tags: 3m, 91-NB-A6, cable jointing, resin, submarine joint.